The SCOTT Investment & Wealth Advisory Team believes in “Thinking of the Big Picture”. At the beginning of our relationship, before we propose any solution or make any recommendation, we will hold in-depth discussions with you and, if you wish, your family members and your other professional advisors. These discussions allow us to gain a thorough understanding of not just your immediate financial goals, but also the long-term aspirations you and your family share. In Thinking of the Big Picture, The SCOTT Investment & Wealth Advisory Team uses a wealth management process designed to simplify the complex set of decisions needed for your financial future. This means revisiting the financial decisions you’ve made over the years and the goals you’ve set for yourself in the years to come. We help business owners, executives and their families clarify their individual financial and life goals. We create personalized investment plans and manage the process through regular portfolio reviews. Our goal is to maximize client returns in line with their goals and individual risk tolerance. We work with you to build a long-term strategy that we follow and monitor closely so that you can maintain your lifestyle and enjoy the retirement you envision. While our custom solutions are what attracts our clients, it is our hands on approach and personal service that creates a lasting relationship with them. 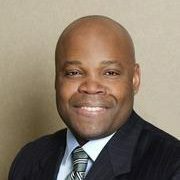 The SCOTT Investment & Wealth Advisory Team is led by Errol Duke Scott. Duke began his career in the wealth advisor business in 1996. He holds the Chartered Investment Manager (CIM®) and Financial Management Advisor (FMA) designations and is a Fellow of the Canadian Securities Institute (FCSI®). Duke has built a strong client-focused business. Duke can provide you with an in-depth view of the investment universe and translate this big picture view into a detailed yet understandable strategy. He can help you develop a plan that will help you to reach your goals and will meet with you on a regular basis. Duke is very active in supporting and raising funds for the minor hockey league and loves spending time with his wife and his four very energetic children. The information contained herein has been provided by TD Wealth Private Investment Advice and is for information purposes only. The information has been drawn from sources believed to be reliable. Where such statements are based in whole or in part on information provided by third parties, they are not guaranteed to be accurate or complete. The information does not provide financial, legal, tax or investment advice. Particular investment, trading or tax strategies should be evaluated relative to each individual’s objectives and risk tolerance. TD Wealth Private Investment Advice, The Toronto-Dominion Bank and its affiliates and related entities are not liable for any errors or omissions in the information or for any loss or damage suffered. The SCOTT Investment & Wealth Advisory Team consists of Errol Duke Scott, Investment Advisor, Certified Retirement Specialist. 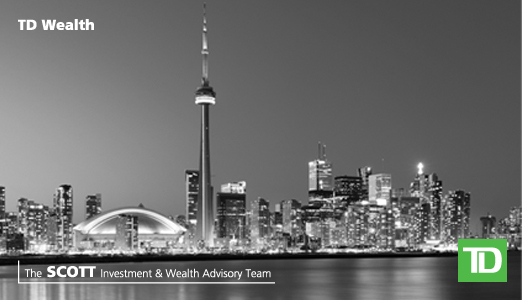 The SCOTT Investment & Wealth Advisory Team is part of TD Wealth Private Investment Advice, a division of TD Waterhouse Canada Inc. TD Waterhouse Canada Inc. is a subsidiary of The Toronto-Dominion Bank. TD Waterhouse Canada Inc. – Member of the Canadian Investor Protection Fund. ® The TD logo and other trade-marks are the property of The Toronto-Dominion Bank. As Client Service Associate for The SCOTT Investment & Wealth Advisory Team, Charmaine has over seven years working in the financial industry and spent 13 years as an executive assistant. Chairmaine recently acquired the Chartered Investment Manager (CIM®) designation. Her experience and credentials qualify her to handle investment related issues, including the implementation of portfolio changes in client accounts. Charmaine is also fully licensed and has completed courses through the Canadian Securities Institute, including the Canadian Securities Course and Wealth Management Essentials Course.